If you are looking for a reliable local moving company to assist you with your move, chances are you’ve probably heard or read about moving company scams. While you might be tempted to brush this warning aside, along with all of the other well-intended advice that you have received since announcing your move, don’t! Unfortunately, moving company scams are a real issue that many people fall prey to as a result of not doing their research into reputable companies. From the never-ending check list that needs to be accomplished, to the packing and cleaning in preparation for leaving your home, moving is a busy and stressful time. Amidst all of the preparations for moving, it is easy to fall victim to a moving scam, which is why it is important to do everything you can to protect yourself and your possessions. At White Glove Moving and Storage, we’ve outlined a few of the important things you need to do to protect yourself, avoid a scam, and have a successful moving experience. When shopping around for a service provider, getting referrals is imperative, and a moving company is no different. Talk to individuals and professionals that you know and trust to get referrals for reputable moving companies. If you are using a real estate agent, they are a great resource for finding a moving company that you can trust and afford. It is also a good idea to check reviews that previous customers have left to get an idea of how satisfied customers were with the experience. For further research, check out the Federal Motor Carrier Safety Administration website, and the Better Business Bureau, to read up on industry and customer reviews, complaints, and resolutions. It is not a good idea to hire the first moving company that you find online or see when driving down the street. Contact a handful of companies that have come recommended to you, and ask for a written estimate. Even though you might be tempted to go with the lowest estimate, it is advised to shop around and see if you can get a better experience by simply paying a little more. It is important to remember, that as with most other things, you’ll get what you pay for, so don’t be deceived by the lowest price. When possible, meet with the moving company in person and avoid conducting all business online or through a third party. This is especially critical if you have any suspicion that they are not legit. It is highly discouraged that you arrange any aspect of your move through a third-party as there is no way to validate that the third-party is in fact a liaison for the actual moving company. When you meet with the prospective moving company, ask questions about their policies, insurance, and any other questions or concerns that you might have. When you receive a contract, prior to signing anything, carefully read through it to ensure that all of the details and services that you require are addressed and the total cost is listed. Be sure to take note of how much insurance they provide and how much your homeowners or renters insurance covers when you are between residences. Be sure to know what the company’s policies are regarding filing claims of theft, damage, or loss. Get everything in writing so that you are protected on the off chance something goes awry with your move. At White Glove Moving and Storage, we are dedicated to helping you have a pleasant moving experience. Whether you are moving around the block, across state lines, across the country, or even to a different country, we are committed to helping you with all your moving needs. 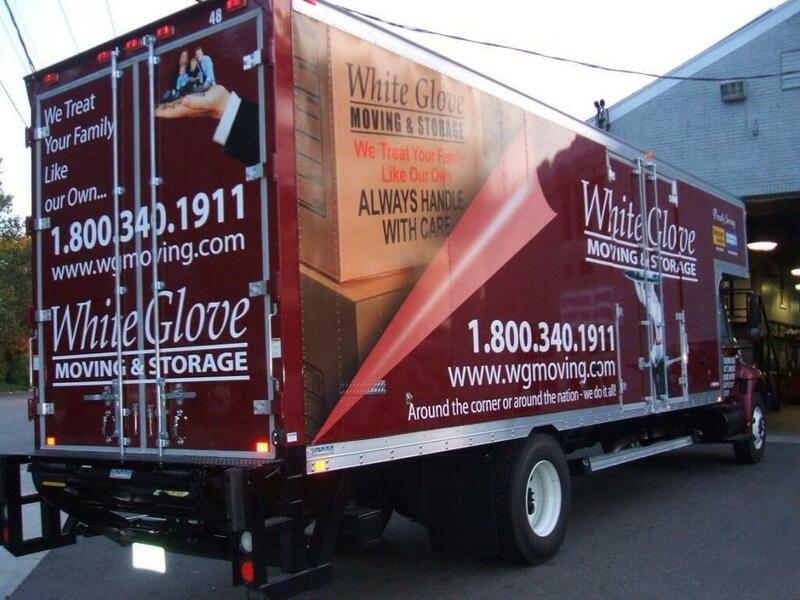 White Glove Moving and Storage is your trusted, local moving company. Contact us today to see how we can help take the stress out of your next move!